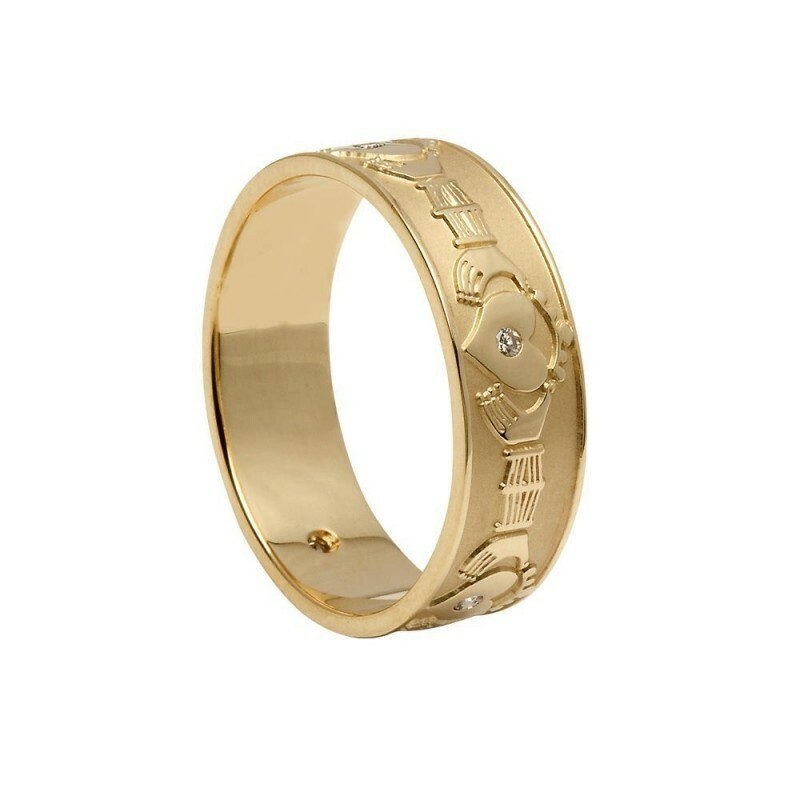 This Mens Claddagh band has five Claddagh symbols running around the central band all set with stunning diamonds! For centuries this was used as a wedding ring by the fisher folk of Claddagh village, which nestled outside the walls of Galway city in the west of Ireland. Claddagh rings are worn as friendship, engagement or wedding rings depending on how they are worn. Friendship: by placing the ring anywhere on your right hand. Engagement: by placing the ring on the third finger of your left hand with the heart pointing outwards. Wedding: by placing the ring on the third finger of your left hand with the heart pointing inwards towards your heart. Matching ladies Claddagh ring available. Width: 7 - 7.2mm approx.